Need to get up to speed on the latest features in Excel 2016? Wrestling with an old version of Word? Looking to get more out of Windows 10? Computerworld’s cheat sheets are easy-to-use guides to help you navigate Microsoft's core productivity apps. Here's a one-stop resource where you can find in-depth stories on several generations of Word, Excel, PowerPoint, and Outlook for Windows, focusing on what's new in each major release. We've also got guides for SharePoint, OneNote, Microsoft Teams and Windows itself. Microsoft's subscription-based office suite, Office 365, is continually updated with new features, and the company recently released Office 2019, its latest non-subscription office suite. We'll be publishing new cheat sheets to cover those products, but we're willing to bet that many companies and individuals will stay on older versions of the standalone software for some time to come. We've got you covered here. Now updated for Excel 2019, our guide covers several useful chart types introduced in Excel 2016 and Excel 2019, as well as how to use several impressive new data analysis tools. We've also got a list of handy keyboard shortcuts in Excel, as well as the Excel 2016 and 2019 Ribbon quick reference. Learn how to use Word's new live collaborative editing features, and how the Tell Me, Smart Lookup and Researcher features work. Also included is a list of handy keyboard shortcuts for Word 2016. If you just want to know where to find various commands on the Ribbon, download our Word 2016 Ribbon quick reference. Like Word and Excel, PowerPoint 2016 gets Tell Me, Smart Lookup, real-time collaborative editing and six new chart types. We cover all that plus several handy features for Office 365 subscribers — not to mention our list of keyboard shortcuts for PowerPoint 2016 and the PowerPoint 2016 Ribbon quick reference. Outlook 2016 has been enhanced with Smart Lookup, Tell Me, and features to help you find files you want to attach and keep a tidy inbox. And don't miss our list of keyboard shortcuts for Outlook 2016 and the Outlook 2016 Ribbon quick reference. Learn how to find your way around SharePoint Online (the Office 365 version of SharePoint), create sites, share and manage documents, work with calendars, integrate with Outlook and more. Then go beyond the basics in 5 tips for working with SharePoint Online. Microsoft's answer to Slack, Teams provides group messaging, voice and video calls, and useful integrations with other Office 365 apps. Here's how to get set up in Teams and find your way around. Ready to go to the next level with Teams? See 8 Microsoft Teams tips and tricks. While Evernote is the undisputed king of the digital note-taking world, OneNote deserves some attention — not least because if you have Office, you already have OneNote. This story details five ways to make the app really shine. Among the major features introduced in Word 2013 are a Start screen, a Design tab, Read Mode, and OneDrive sync. 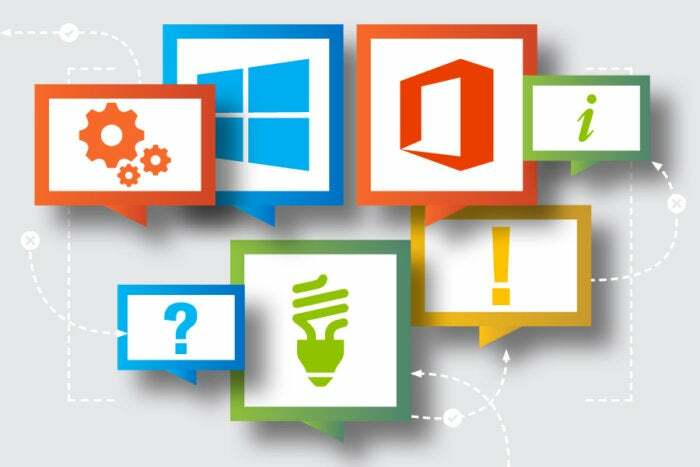 Our guide covers how to use them all and provides handy keyboard shortcuts for Word 2013. There's also a Word 2013 Ribbon quick reference. Learn the basics of navigating and using a SharePoint site, where to go to find some of the customization options, and 5 advanced SharePoint 2013 tips. The Ribbon was only half-present in Outlook 2007, but in Outlook 2010 it's ubiquitous. Other notable changes include Conversation View to group email messages, Schedule View for scheduling meetings, and an enhanced search function. We show you how to use them all, provide some handy keyboard shortcuts for Outlook 2010 and detail where old Outlook 2003 commands are located in Outlook 2010. Learn how to use PowerPoint 2010's new multimedia editing tools, sharing options and other handy features. As usual, we've got keyboard shortcuts for PowerPoint 2010 and a guide to finding old PowerPoint 2003 commands on the PowerPoint 2010 Ribbon. Excel 2010 introduces Sparklines, Slicers, and other enhancements to PivotTables and PivotCharts. Find out how to use those, along with keyboard shortcuts for Excel 2010 and our quick reference for finding your favorite commands on the Excel 2010 Ribbon. Learn how to use Word 2010's new Navigation pane, image editing tools, text effects and other new features. Also see the list of handy keyboard shortcuts for Word 2010 and our Word 2010 Ribbon quick reference charts. Unlike earlier versions of SharePoint, SharePoint 2010 is based on the Ribbon interface. Here's how to find your way around and get started with a SharePoint site. Also see 5 tips for working with SharePoint 2010 for more advanced techniques. Not many people are still using this nightmare of an operating system, which radically overhauled the classic Windows interface in an attempt to make it more like a mobile OS. But just in case, here's help finding your way around.